So one night when it was going to be on my friend invited me round to watch an episode (I can't for the life of me remember which episode it was) but I can remember how I felt and the format was original. The format was Yvonne Fielding would go around wherever the episode was set and go into the history and of what ghosts were where and what they would do. 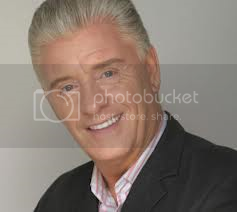 Then a Medium Derek Acorah would turn up and do his job of talking to the spirits through Sam his guide. Then they would spend the night with night vision goggles and see what would happen (normally with the odd bang and lots of screaming). Which annoyed me as all we, the viewers could hear nothing but screams of Yvette etc. At the end of the show they would have another Medium look at the footage and give his insight on what happened. Naturally all you could see was orbs or dust specks. All the ghost action would happen off screen and they would expect us to believe what they had seen. Well after that I wanted to see more (which I didn't until I bought the DVD box sets). My friend was scared as he lived in a flat on his own and I thought it was funny that he was scared. I was recently healing from an operation so that made me have a lot of free time so I ordered the DVD sets from www.Amazon.co.uk all 14 of them and I watched them through 1 series after another. I read a lot into it too and found out Derek had left through someone setting him up and they brought in a new medium. I have to admit it wasn't the same but I continued watching. I still enjoy watching them even now it's ended and there was a whole slew of new mediums that took over but nobody will have the same impact Derek Acorah had on me. Every now and again he does live shows and I would love to see him live at some point.